The Chinese company that assembles Apple’s AirPods is moving its production from China to Vietnam, as the US-China trade war escalates following US tariffs on some $US250 billion in Chinese goods. Earlier this month, GoerTek, based in eastern China’s Shandong province, asked all suppliers involved in its AirPod production to ship all necessary materials and components directly to Vietnam, according to a report in the Nikkei Asian Review. The ABC has obtained Goertek’s 2018 biannual report, in which the company’s chairman Jiang Bin revealed that net profit had decreased by 38.11 per cent, down from $140 million compared to the same period last year. “Due to macro-economic factors — such as external market fluctuations and China-US trade disputes — the company’s operation and management has become more difficult,” Mr Jiang said in the report. This is despite United States President Donald Trump saying he would spare high tech products like AirPods in the last round of tariffs late last month. On Tuesday, GoerTek also announced plans to invest $200 million in smart earphone and drone production in Nanning in southern China, closer to its Vietnamese operations where it would potentially be easier for cross border logistics. But GoerTek is not the only company to shift its operations due to the trade war. Earlier this month, Taiwanese officials revealed that almost 30 enterprises had abandoned China and relocated to Taiwan, citing impact from the trade war. Founder of Taiwanese think-tank GoldenRock Jason Wu said many more Taiwanese entrepreneurs wished to leave China, not just because of the trade war, but also because of the tense political climate under President Xi Jinping. “Many Taiwanese entrepreneurs are still watching closely,” Mr Wu told the ABC. Mr Wu said Taiwan had contributed significantly to China’s manufacturing industry over the past generation, especially in electronics and manufacturing, because China offered generous conditions to Taiwanese businesses. Japanese companies in China are also reportedly being impacted by the escalating trade war. The eastern city of Suzhou, home to a large number of foreign manufacturers, had seen a number of Japanese manufacturing companies close down operations permanently since last year, according to Chinese state-owned media 21st Century Business Herald. Japanese manufacturing giant Omron, which produces LED screens for a variety of electronic products, announced the closure of its company in Suzhou three months after Samsung shut down its factory in Shenzhen, which is recognised as one of China’s innovation and technology hubs. China’s leaders, however, may not be as concerned as some might expect, as the country’s manufacturing industry is currently attempting to upgrade and move away from its labour intensive, heavy manufacturing past towards a high-tech future. The country’s electronics industry was valued at more than $3.5 trillion in 2017 and is expected to grow further as the country pursues its Made in China 2025 strategy, which is promoting high precision and digitised manufacturing to give China a competitive advantage as the global economy changes. 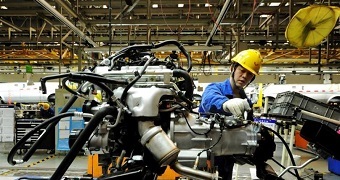 In some cases, inland cities such as Chongqing and Chengdu in the Sichuan province have welcomed labour-intensive manufacturing factories like electronic assembly, while other manufacturers have moved to South-East Asian countries including Vietnam, Cambodia, and Malaysia where labour costs were lower. 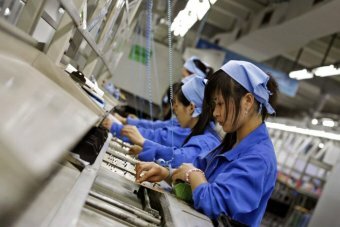 Professor Hans Hendrischke from the University of Sydney said this trend was occurring irrespective of the trade war, because China was moving up the value chain and becoming a more economically developed nation, producing more sophisticated equipment and higher value products as its workforce acquires more skills. However, he did believe the trend was “accelerated” by the increased tariffs, and would have a negative impact on China’s economy. Next articleThe world’s longest bridge-tunnel brings China even closer to Hong Kong. Not everyone is pleased.